Bayesian Doctor comes with 2 modeling tools. Bayesian Network and Bayesian Inference. 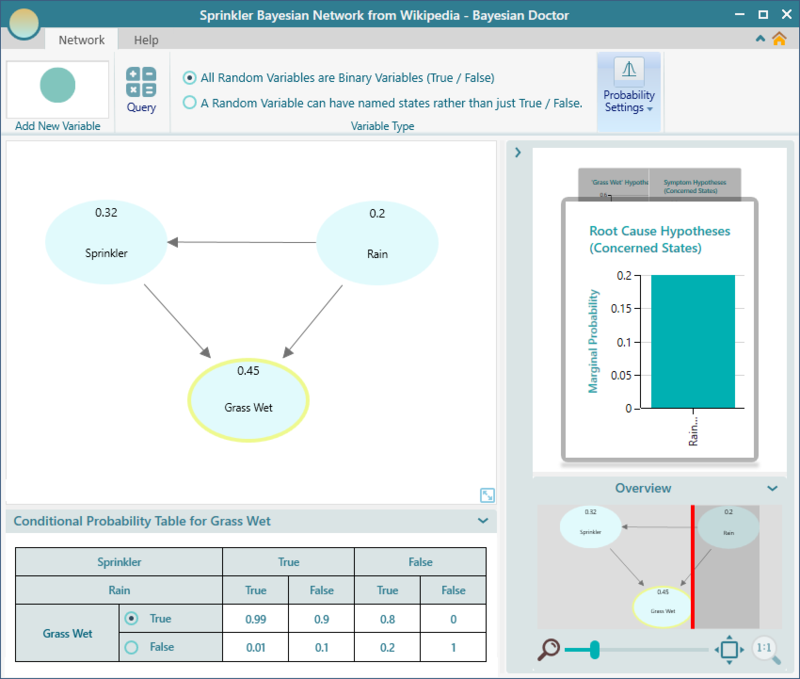 Choose the Bayesian Network if you want to model a Bayesian Network. 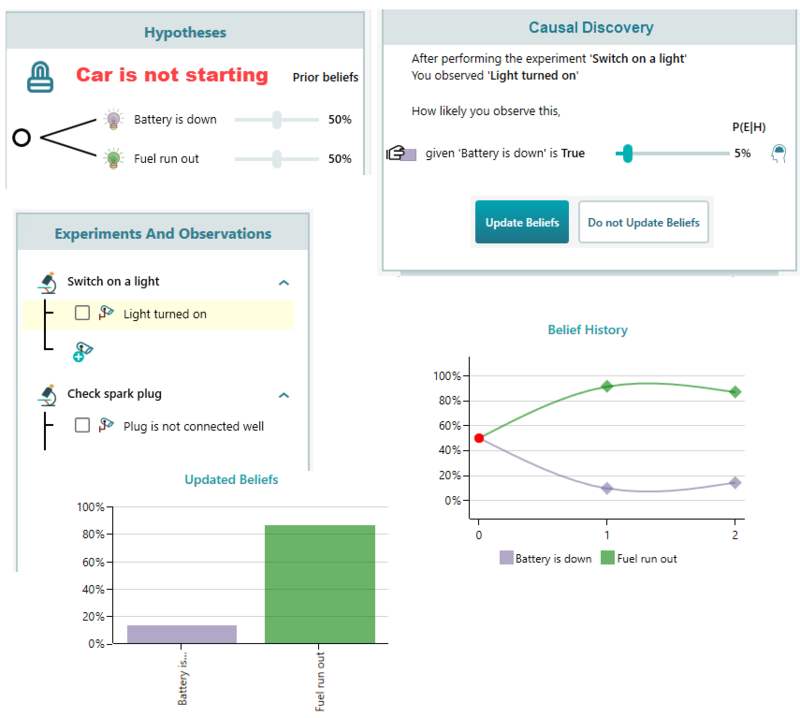 If you have a set of hypotheses and you want to update the degrees of belief of those hypotheses based on experiments and observations, then choose the Bayesian Inference tool.